While 3D printing has been around for nearly three decades, the technology has advanced rapidly in recent years, creating new possibilities for 3D printing and drastically increasing the list of things that can be 3D printed. The world is just now starting to discover the potential that 3D printing holds. 3D printing does more than just print toys and knick-knacks; there is a range of amazing things that can be created with 3D printing technology. From customized 3D printed chocolate and eyeglasses, to highly advanced “bioprinting” of tissues and cells, let’s take a look at some of the amazing things that this technology is capable of. 3D printing just keeps getting sweeter. From brightly colored 3D printed candy to customized chocolate designs, 3D printing has definitely seen its way around the kitchen. 3D Systems’ The Sugar Lab has been creating beautiful edible works of art in the form of sugary confections and wedding cake toppers. These designs are intricate and unlike anything that’s been created before. 3D Systems has recently teamed up with Hershey to develop the technology even further, so keep your eyes peeled, and get your taste buds ready, for inevitable developments in 3D printed confectioneries in the near future. Bioprinting is undeniably one of the most important and major advancements in 3D printing. To be fair, 3D bioprinting cells isn’t like other types of 3D printing in that you put material in and the same material comes out. Instead, bioprinting uses 3D printing as a catalyst through which to apply cell clusters in a 3D gel-based formation, which allows the cells to go to work creating living tissue – or other matter. Bioprinting is showing major promise in the medical field, allowing for better treatment solutions, and more precision in applications. Notable bioprinting cases include Organovo’s 3D printed liver tissues and the 3D printing Biopen that allows surgeons to apply new bone and skin directly onto patients. Custom 3D printed jewelry, shoes, instruments, surfboard fins, and eyeglasses. When it comes to accessories, 3D printing has you covered. 3D printing is making it easier than ever to customize your gear, and there’s certainly no shortage of interesting and unique ideas for custom, 3D printed accessories. A quick stop over at Thingiverse shows the plethora of crowd sourced design concepts and innovation that 3D printing has inspired. 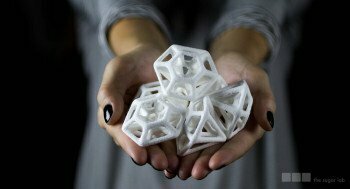 Novelties and ultra-practical innovations are two crowning achievements of 3D printing.